PLS Blog: Don't miss Miss Representation! We love movie night, especially when it's pumped up by girl power. 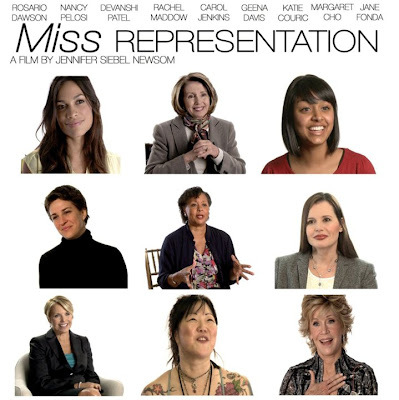 Tomorrow (Thursday) at 9, you can watch the film, Miss Representation, on the OWN network. A couple posts ago, our Girl Scout pal Allie did a movie review for us. And since we're in a "girls are awesome" frame of mind, here are some thoughts and advice from Melissa Houghton. She's executive director of Women in Film & Video DC, a group that supports women who make films. PLS: For girls who might want to make their own films, what's the process? Melissa Houghton: It all starts with a good story. Owning the story and feeling it deeply so that you can defend it and have the stamina to see the process to the end. Find people who also want to learn or help you tell your story. You don’t want to do it all yourself and you don’t want to be the only one watching it. Public access television stations may have a youth program. More schools have media classes. Every community has someone who knows how to tell a story. Nearly every community has a television or radio station with people who love what they do and find time to work with people as passionate as they are. It’s always important to think about your ultimate audience – how will you reach them, what do you want them to do or feel after they see your film? There are lots of really good books about producing movies and more memoirs by filmmakers who share a lot of what they’ve learned – Christine Vachon, Sidney Lumet, Maureen Ryan and many others share their stories and the process. Our Women in Film & Video chapter works with high school students to make public service announcements for local non-profit organizations so the students can learn the process. PLS: What's a movie you recommend to girls because it does a great job of representing women? Melissa Houghton: Nim’s Island, Whip It, Sunshine Cleaning and interestingly, all of them were written and directed by women! PLS: If you could ask girls and young women to take just one action, what would it be? Melissa Houghton: Stand up for themselves and not let others influence their decisions about what they want to be. Thanks to Melissa for giving us some film-making advice! I've made a couple of music videos with my friends, does that count? We had a lot of fun making them, I haven't uploaded them to youtube or anything though, should I? Anyway, I loved the movie. You guys should watch it. I have made some few videos films but I didnot upload to youtube.com or anything but THATS NOT necassary Right anyways good movie. Love the film! I especially connected to the one girl who mentioned she knew people who came to school carrying bags of makeup and are constantly checking their appearance, and, really, you're at school to LEARN! It's fun to go shopping and do each others' hair and things, but we should still concentrate on academics. Oh cool!I know this is old news but I want to see that now!Thx Jemma!